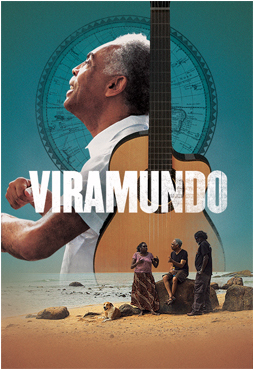 The album The South African Meeting of Viramundo is the outcome of Gilberto Gil’s and Vusi Mahlasela’s encounter during the shooting of the documentary film Viramundo. 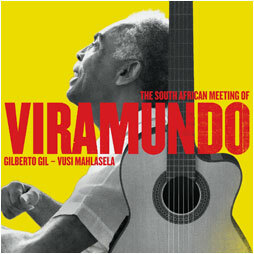 Some songs were recorded during the two concerts given at the Market Theatre during the shooting, in Johannesburg, in May 12th and 13th 2011. Other titles were recorded a year later at Dinemec Studios, on the shore of Lac Léman, before a concert at the Montreux Jazz Festival. All arrangements for strings and winds – performed by the MIAGI Youth Orchestra (South Africa) and the Sinfonietta de Lausanne (Switzerland) – were written by South African pianist, arranger and composer Paul Hanmer. I would like to thank everybody who made this musical encounter possible, particularly Robert Brooks in South Africa. This album is dedicated to Claude Nobs, who inspired me for so many years and invited us at the montreux Jazz Festival.